Secret Tenerife: Christmas in the sun and heat can't be properly Christmassy? Christmas in the sun and heat can't be properly Christmassy? 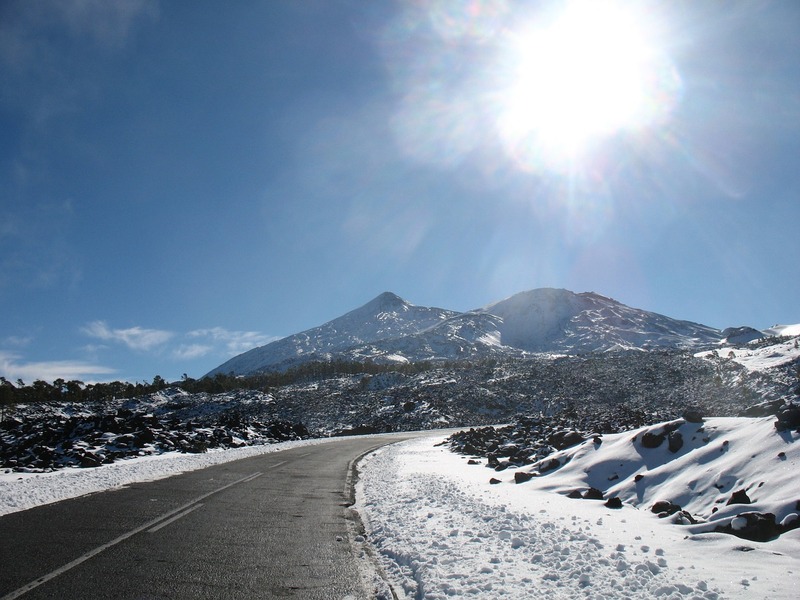 The road to a snowy Teide. Lots of people's dream of a white Christmas on Tenerife. Many people will drive up to visit Mount Teide on Christmas Day, especially if there's some snow to play in. It's one of my favourite things to do at Christmas in Tenerife, because, especially on the northern routes, you'll climb past natural Christmas decorations, such as poinsettias blooming wild and real Christmas trees in the pine forests to get there. Stop at one of the bars for hot chocolate con churros and you will have truly reached nirvana, IMHO. Anyone who thinks Christmas in the sun and heat can't be properly Christmassy clearly hasn't explored this side of Tenerife. I can't think of anywhere in the world more festive. Writing ahead (no, I'm really not up early typing this on 25th December), we can't actually promise you snow for this Christmas Day, but we can show you this video of the spectacular snows that fell in the Parque Nacional de Las Cañadas del Teide in February 2016.